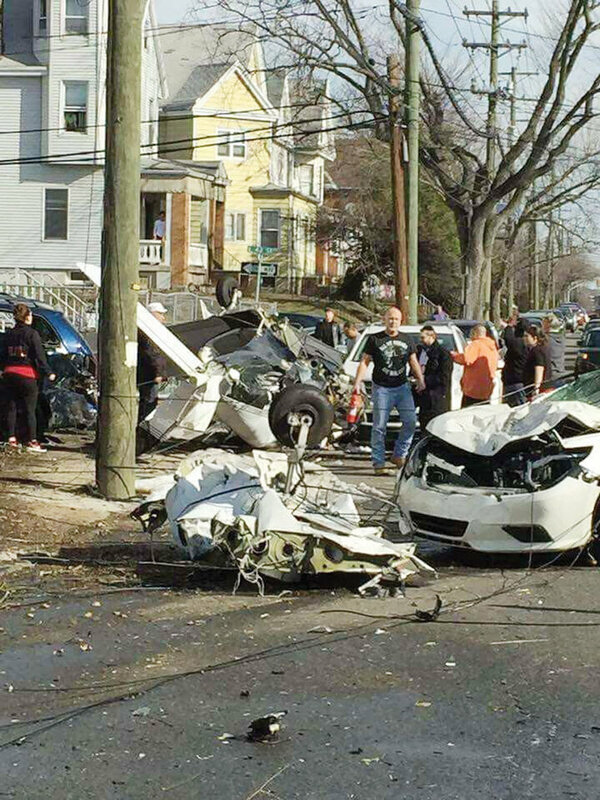 A small Piper PA-28 plane crashed on Avenue E between 41st and 42nd Streets on the morning of Sunday, February 19, injuring the pilot and causing damage to several vehicles and wires, according to the Bayonne Police Department. When firefighters arrived on the scene, they found pieces of the mangled plane dispersed on the street and hanging from telephone wires, while the body of the plane fell upside down onto the street, according to the Bayonne Fire Department. Miraculously, no one was killed, and there was no serious damage to surrounding buildings. The pilot, 56-year-old George Pettway, a Long Island native, was taken to Jersey City Medical Center for treatment. According to city officials, he was planning an emergency landing after encountering mechanical problems near the Statue of Liberty. 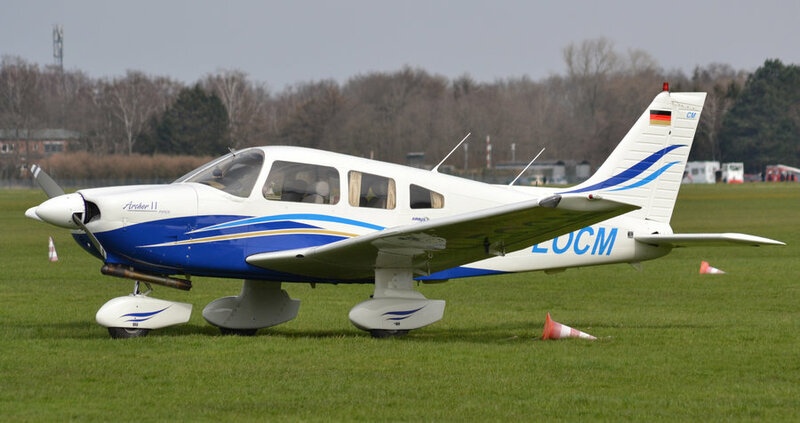 The crash remains under investigation by the Federal Aviation Administration as of Tuesday, February 21. City officials and developers met to break ground at the new 19 East development on 19 East 19th Street on Monday, February 13. The new apartment building is one of many of its kind going up this year in Bayonne, mainly in neighborhoods that are urbanizing with demand for public transit access and walkability. Brad Ingerman, owner of Ingerman Construction, and the developer behind Broadway’s newest building, hopes for the project to be finished by spring of 2018. He called the development “one of our most exciting projects,” in the 27 years the company has been in business. The building that once stood at the location was under control of the Bayonne Housing Authority, but contaminated and vacant for years. The mayor sees benefits to the area other than providing much-needed housing. “This actually becomes a full project here where we’re cleaning up the area, we’re helping Broadway, and we also help out our housing authority,” Davis said. Crews were on 19th Street in early January demolishing the vacant Housing Authority building to make way for the new development. The building is an unusual shape. It will be perpendicular, with one part starting on 19 East 19th Street and extending into the center of the block and then back out to Broadway. Units will be marketed as “luxury apartments” and should appeal to young professionals commuting to Manhattan with its proximity to the 22nd Street Light Rail Station. The new building will be within walking distance of the 22nd Street Light Rail and Broadway commerce. According to Ingerman, plans include 212 parking spaces on the bottom two floors, and 138 luxury units – 24 studio apartments, 74 one-bedroom apartments, and 40 two-bedroom apartments. Rents will range from $1,800 per month to $2,400 per month. The new elevated roadway on the Bayonne Bridge opened on Monday, February 20 after nearly four years of construction. Initially, one lane will be open in each direction, but by the bridge’s expected full completion in 2019, four twelve-foot lanes will span the bridge along with a ten-foot shared pedestrian and cyclist path, inner and outer shoulders, and a median barrier. Cashless tolling was announced last week for the bridge, allowing drivers to pay tolls by mail. Scanners for EZPass will remain overhead, while cameras will detect license plates and mail tolls to the registered owner of that vehicle. The $1.3 billion “Raise the Roadway” project, which began in May of 2013, raises the bridge by 64 feet to a height of 214 feet over the Kill Van Kull. Raising the Bayonne Bridge along with the Harbor Deepening Project, completed in September of 2016, which deepened the Kill Van Kull by 50 feet, will allow for larger container ships to access the terminals at Port Newark, GCT Bayonne, and the Howland Hook Marine Terminal. Bridge construction was originally planned for completion simultaneously as the Harbor Deepening Project. However, multiple construction delays have prevented colossal container ships from reaching ports in New Jersey and delayed commuters traveling to and through Bayonne from Staten Island. Bayonne Chief of Staff Andrew Casais is stepping down from his position at City Hall for another position in municipal government in the Borough of Roselle Park in Union County, the City of Bayonne announced last week. Roselle Park’s city council appointed Casais to the positions of Municipal Clerk, Assessment Search Officer, and Municipal Housing Liaison, effective March 6. Casais, a 25-year-old native of Roselle Park who moved to Garwood last year, served as councilman from 2011-2013 (starting when he was 18 years old) for the Borough of Roselle Park before he started his job as Chief of Staff in Bayonne after his uncle, Mayor James Davis, was elected in 2014. The garbage truck driver who struck and killed a pedestrian, Caleb Serrano, 32, on the corner of Avenue C and 55th Street is now facing charges, according to the Hudson County Prosecutor’s office. Daniel Peek, 44, of New York City, is being charged with allegedly driving without a commercial driver’s license, failing to observe a traffic signal, and careless and reckless driving. He was employed by Fairfield-based Suburban Disposal, Inc. At press time, the company has not responded to a request for comment. Traffic advisory on Kennedy Blvd. Weather and operational conditions permitting, at the end of this week, PSE&G plans to relocate the cable-pulling operation through the underground conduit from manhole-to-manhole of the PSE&G Bergen-Linden Corridor Electric Transmission Reliability Project, www.pseg.com/blc, on JFK Blvd. to Sixth & Seventh Streets and Eighth & Ninth Streets. To discuss electric transmission reliability construction topics, please call Rich Dwyer at (201) 704-4570 or email him at richard.dwyer@pseg.com. Legislation Assemblyman Nicholas A. Chiaravalloti sponsored to designate November of each year as “Diversity Month in New Jersey” gained approval from the General Assembly on Wednesday, Feb. 15. Chiaravalloti introduced the resolution (AJR-109) in June after a visit to Lincoln Community School in Bayonne, where a fourth-grade student suggested the idea for the legislation. “I was thrilled to introduce a legislation that came directly from a young constituent in the 31st Legislative District,” Chiaravalloti said. “Her enthusiasm on celebrating diversity serves as an example to her classmates, friends, teachers, and all of us.” The Assembly passed the measure 68-1. Three employees from Bayonne High School were hospitalized on Wednesday, February 15, after a student brought pepper spray to school. According to Principal Richard Baccarella, a young man sprayed the pepper spray into a cup as a joke, causing employees to have trouble breathing. One cafeteria worker found the cup after a lunch period and reported it to the school nurse, who then called the hospital. Baccarella said that no charges would be filed against the student, but disciplinary action was taken. Bayonne has long dreamed of a ferry connecting the Peninsula City to Manhattan. At a city council meeting on Wednesday, February 15, Business Administrator Joe DeMarco revealed that a meeting with the Port Authority (PA) is scheduled for Friday, February 24, where they will discuss a ferry slip on the former Military Ocean Terminal Base (MOTBY). DeMarco estimated the potential project to take around 18 months to complete after the City and the Port Authority come to an agreement. The Port Authority, however, does not operate its own ferries. The City is looking to put a ferry terminal on a suitable plot of land and water, but much of MOTBY’s northern shore was sold to the Port Authority in 2010. Now, the City does not own any land with water that is deep enough for a ferry. MOTBY is an ideal location for a ferry, as thousands commute from and through Bayonne to Manhattan and Jersey City. A ferry would relieve the anticipated increase in rider volume on the Hudson Bergen Light Rail as a result of urbanization, while attracting new residents and developers. Three of the most easterly districts of MOTBY were sold to the Port Authority in 2010, known as “The Landing,” “The Loft,” and “The Pointe,” on the base’s northern shoreline, the most likely location for a ferry.